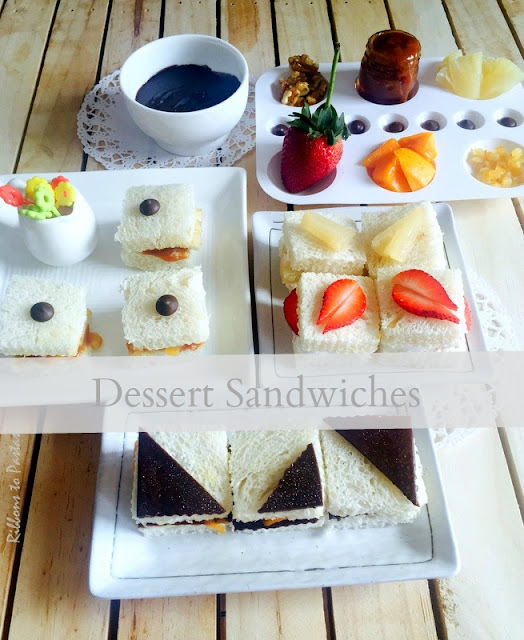 For the last day of this week I have a sandwich platter where I have a Dessert Sandwiches. 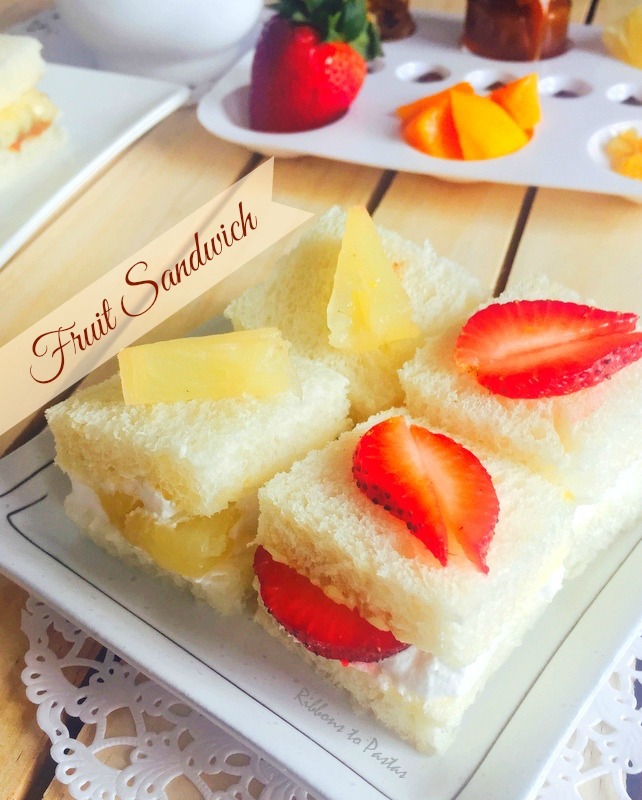 I conceived the concept of Dessert Sandwiches from Japan. It was way back, nearly ten years back when I first visited Japan and it is then that I had one of these sandwiches. I fell in love with the sandwiches and wanted to replicate them. Finally I have ! Years back we used to serve a dessert using bread and the idea never appealed, never could think of adding cream as a spread to bread, or for that matter chocolate and bread. Time changes and with it the taste buds too change. New concepts, new combinations come up.I observe that chocolate and bread is the most hit combination, My grand kids love it and to be honest so do I. Another of my favorites is caramel and spreading it on bread is absolutely delicious. I made home made caramel. 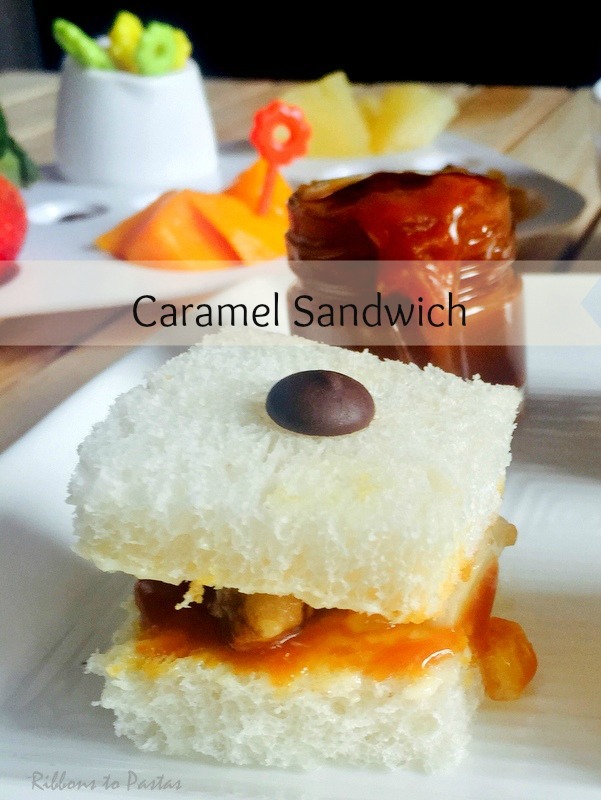 This was the first time I tried spreading caramel on bread and I was surprised that it tasted so divine. Chocolate slices are a new addition to my favorite ingredients. I simply love these slices as they are fantastic to work with. We can use them in sandwiches, over sandwiches and grill, it melts beautifully ! I served these with chocolate fondue and fruit bits. 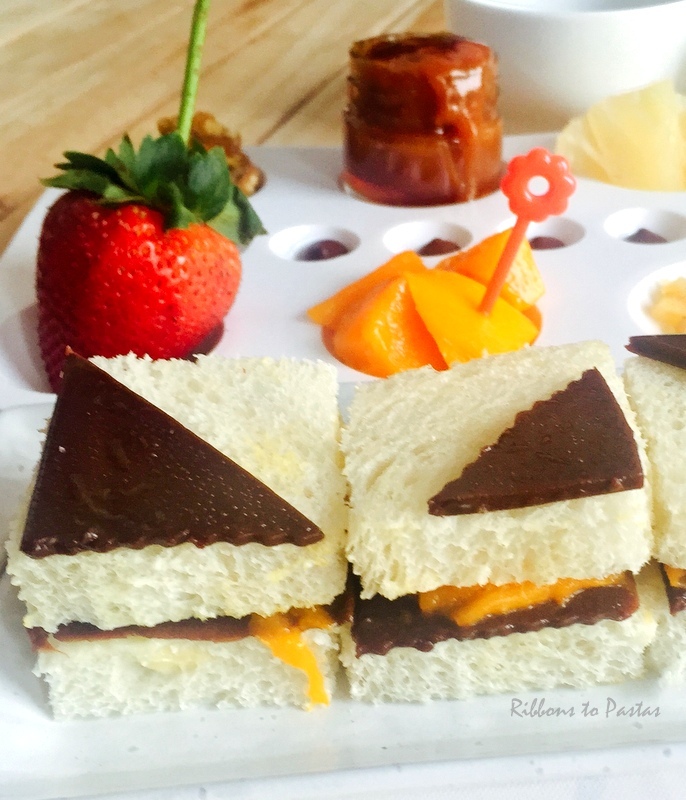 The platter was a treat by itself and since these were mini bite sized sandwiches no one felt guilty. Dipping them into the fondue was absolutely sinful .